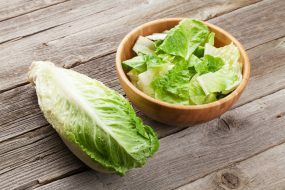 (U.S.A) – The Centers for Disease Control and Prevention is warning consumers of a multistate outbreak linked to romaine lettuce. CDC, public health and regulatory officials in several states, Canada, and the U.S. Food and DrugAdministration (FDA) are currently investigating an outbreak of Shiga toxin-producing Escherichia coli O157:H7 (E. coli O157:H7) infections linked to romaine lettuce. 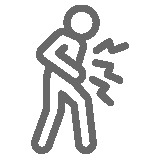 Assist public health investigators by answering questions about your illness. Antibiotics are not recommended for patients with E. coli O157 infections. Antibiotics are also not recommended for patients in whom E.coli O157 infection is suspected, until diagnostic testing rules out this infection. Some studies have shown that administering antibiotics to patients with E. coli O157 infections might increase their risk of developing hemolytic uremic syndrome (a type of kidney failure), and the benefit of antibiotic treatment has not been clearly demonstrated. Thirty-two people infected with the outbreak strain of Shiga toxin-producing E. coliO157:H7 have been reported from 11 states. Thirteen people were hospitalized, including one person who developed hemolytic uremic syndrome, a type of kidney failure. No deaths have been reported. The Public Health Agency of Canada has identified 18 ill people infected with the same DNA fingerprint of E. coli O157:H7 bacteria in two Canadian provinces: Ontario and Quebec. Epidemiologic evidence from the United States and Canada indicates that romaine lettuce is a likely source of the outbreak. Ill people in this outbreak were infected with E. coli bacteria with the same DNA fingerprint as the E. coli strain isolated from ill people in a 2017 outbreak linked to leafy greens in the United States and to romaine lettuce in Canada. The current outbreak is not related to a recent multistate outbreak of E. coli O157:H7 infections linked to romaine lettuce. People usually get sick from Shiga toxin-producing E. coli (STEC) 2–8 days (average of 3–4 days) after swallowing the germ. Some people with a STEC infection may get a type of kidney failure called hemolytic uremic syndrome (HUS). E. coli infection is usually diagnosed by testing a stool sample. 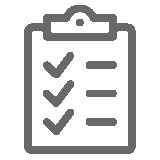 Antibiotics are not recommended for patients with suspected E. coli infections until diagnostic testing can be performed and E. coliinfection is ruled out. Some studies have shown that administering antibiotics to patients with E. coli infections might increase their risk of developing HUS, and a benefit of treatment has not been clearly demonstrated. For more information, see Symptoms of E. coli Infection. Public health investigators are using the PulseNet system to identify illnesses that may be part of this outbreak. PulseNet is the national subtyping network of public health and food regulatory agency laboratories coordinated by CDC. DNA fingerprinting is performed on E. coli bacteria isolated from ill people by using techniques called pulsed-field gel electrophoresis (PFGE) and whole genome sequencing (WGS). CDC PulseNet manages a national database of these DNA fingerprints to identify possible outbreaks. WGS gives a more detailed DNA fingerprint than PFGE. WGS performed on E. coli bacteria from ill people in this outbreak showed that the strains were closely related genetically. This means that the ill people were more likely to share a common source of infection. As of November 20, 2018, 32 people infected with the outbreak strain of E. coli O157:H7 have been reported from 11 states. 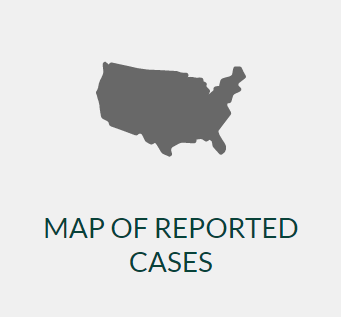 A list of the states and the number of cases in each can be found on the Map of Reported Cases page. Illnesses started on dates ranging from October 8, 2018 to October 31, 2018. Ill people range in age from 7 to 84 years, with a median age of 24. Sixty-six percent of ill people are female. 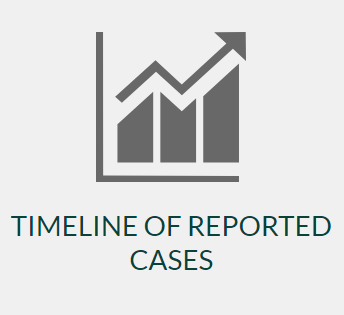 Of 26 people with information available, 13 (50%) were hospitalized, including one person who developed hemolytic uremic syndrome, a type of kidney failure. No deaths have been reported. 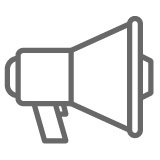 Illnesses that occurred after October 30, 2018, might not yet be reported due to the time it takes between when a person becomes ill with E. coliinfection and when the illness is reported. This takes an average of two to three weeks. Epidemiologic evidence indicates that romaine lettuce is a likely source of this outbreak. In interviews, ill people answered questions about the foods they ate and other exposures in the week before they became ill. Eleven (79%) of 14 people interviewed reported eating romaine lettuce. This percentage is significantly higher than results from a survey[PDF – 787 KB] of healthy people in which 47% reported eating romaine lettuce in the week before they were interviewed. Ill people reported eating different types of romaine lettuce in several restaurants and at home. Whole genome sequencing (WGS) results showed that the E. coli O157:H7 strain isolated from ill people in this outbreak is closely related genetically to the E. coli strain isolated from ill people in a 2017 outbreak linked to leafy greens in the United States and to romaine lettuce in Canada. The current outbreak is not related to a recent multistate outbreak of E. coli O157:H7 infections linked to romaine lettuce. People in the spring outbreak were infected with E. coli O157:H7 bacteria with a different DNA fingerprint. FDA and states are working to trace back romaine lettuce that ill people ate in the current outbreak. At this time, no common grower, supplier, distributor, or brand of romaine lettuce has been identified. CDC is advising that consumers not eat any romaine lettuce, and restaurants and retailers not sell any, until we learn more about this outbreak and the source of the contaminated lettuce.